Welcome to the latest Geek Pride crowdfunding round up, our fearless contributors have spent many an hour sifting through hundreds of campaigns all wanting your hard earned money so you don’t have to. 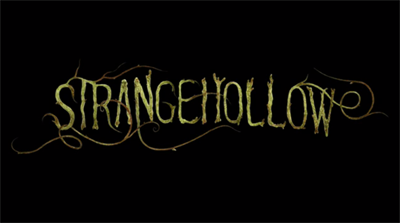 Strangehollow is an art book by Emily Hare. The book serves as an introduction to a strange and fantastical world inspired by myths and fairytales. Strangehollow collects together Hare’s numerous watercolour illustrations and drawings from those you might be familiar with like Dragons and Ogres to Hare’s own creations like the Green-Eyed Barrow Honk. Backers can help out by pledging as little as £2 or get a copy a copy of the book with an original sketch inside and several prints for £45. Go here for more on Strangehollow. 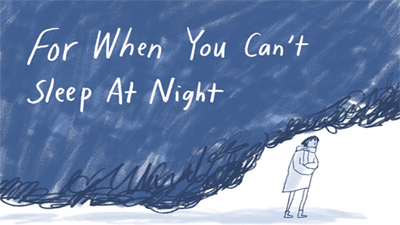 For When You Can’t Sleep At Night by Skye Ali is a collection of comics that came about as the result of Ali’s restless nights dealing with depression. When Ali started sharing them online she started getting messages from people across the world who were also struggling with their own mental health issues. This continued for several years and lead to Ali getting occasional requests to collect them together in a book, For When You Can’t Sleep At Night is that book. Go here for more on For When You Can’t Sleep At Night. Odie by writer Aaron Sullivan and illustrators Elli Puukangas and Karolina Hankonen is the story of an ageing Corgi who finds himself far from home and has to rely on his cunning and bravery to find his way back home to the family that loves him. Odie is inspired by classic literature, with Homer’s Odyssey in particular being an influence on writer Sullivan. One of the real stand outs here though is the amazing art from Puukangas and Hankonen. Mini sketch cards featuring original art by Elli Puukangas are available on one of the pledge levels. Not only is this an intriguing theme, but the simple mechanics cover a system that appears deeper than I initially thought. The simplicity would make this a great teaching/gateway game, and the gorgeous graphics would combine with the ease of play to create a zen-like experience. Overall, it feels like a gentle yet engaging game with a theme I haven’t seen in gaming yet. 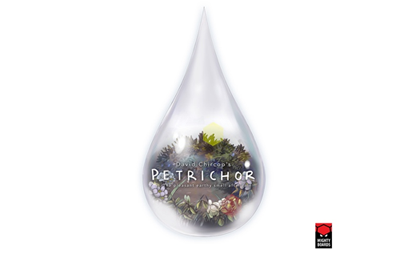 Go here for more on Petrichor.